SODAQ is an experienced company with over five years of extensive involvement in the Internet of Things hardware/software industry. As a result, they have partnered with numerous industry-leading firms over the years. Ranging from small startups, to medium sized enterprises and large multinationals, SODAQ takes pride in the diversity and flexibility of their work capabilities. 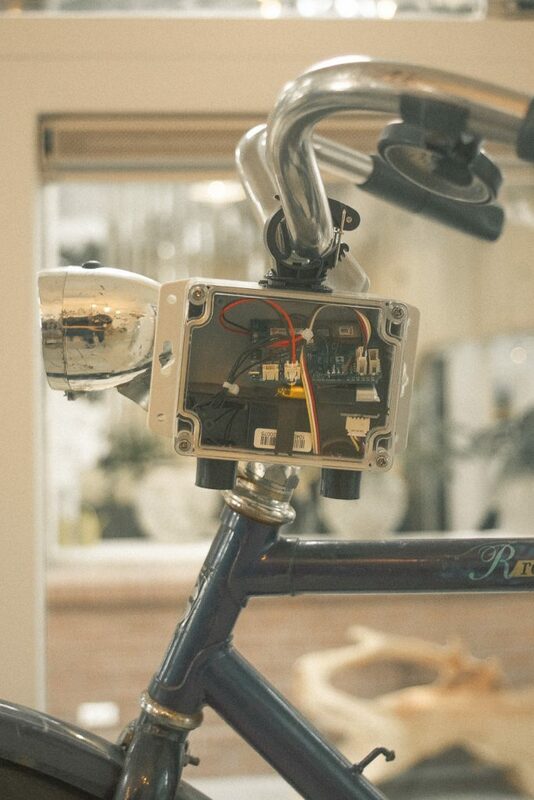 Besides firms, SODAQ has also partnered with numerous government institutions, such as the Dutch police or the province of Utrecht to develop innovative technologies for air quality monitoring mounted to bikes (see figure on the right) or water quality monitoring devices. Alongside this, telecommunication providers such as Vodafone and T-Mobile often utilise SODAQ boards to demonstrate the power of their network. The network is not restricted to The Netherlands as telecom providers from all over the world, including Singapore and Latvia have created custom kits to demonstrate their network using SODAQ boards. The list of partners is extensive as we always aim to grow it with new ideas, projects and challenges. Naturally, with the ever-increasing network, we have connections in all aspects of the industry and are always interested in expanding our partners. Feel free to reach out to us in order to join our network of partners to see what we can do for eachother! Looking for a new partner to develop your latest innovative idea or project? You're in the right place. Send us a message to see how we can help you further.